Ringworm and that annoying, almost burning itch is almost all too common. The problem is the Trichophyton fungi, which is hardy and can lie dormant until the perfect conditions for it to spread are there. Those conditions include warmth, moisture, and darkness. They manifest accordingly as ringworm on the skin, Jock Itch on the groin and Athlete’s Foot in between the toes. 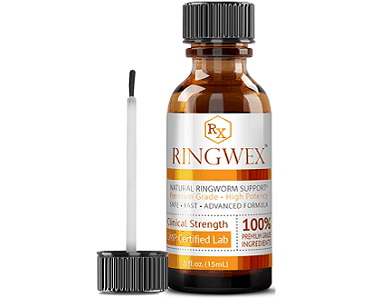 Today we review a remedy formulated to tackle ringworm and similar fungal infections. It is called Allactive Antifungal Cream. It promises to be the remedy you should try if all else has failed. Miconazole Nitrate 2 percent – An azole antifungal that works by inhibiting the growth of the fungus. Emu oil – An oil carrying the active ingredient to deep in the skin tissue where it is needed. Emu oil from Australia also helps skin heal and can help to alleviate any irritation such as pain. 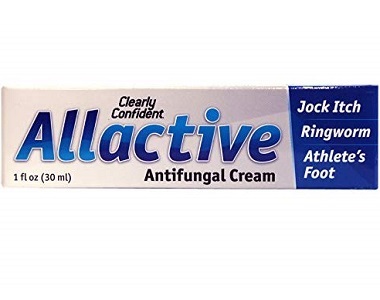 How Do You Use Allactive Antifungal Cream? Usage directions are scant to none. However, we know from research that you must clean the affected area, the most important thing being to make sure it is completely dry. Thereafter, apply the ointment and allow it to sink in. Air dry. Do not cover with tight clothing. Also disinfect clothing such as vests, T-shirts and socks that could be carrying the ringworm fungus – ringworm, Jock Itch and Athlete’s Foot are all caused by the same fungus. We were unable to ascertain the cost for the 1oz/30 ml tube. It is currently unavailable on Amazon, with no price listed. In addition, it is unclear if this product ever was properly in stock or had traction, because there are zero consumer feedback reviews. Despite very little indicated by way of buying activity online, the manufacturer says it has confidence in its product. If you don’t see relief in 3 days you can get all your money back. As an antifungal, Miconazole Nitrate 2 percent is known to work well. Its main working is to be able to form a moisture barrier around the skin. This deprives the fungus of the moisture it seeks to be able to thrive. Another miconazole formulation is priced at just over $8 for 3.75 oz so in order to be competitive, this cream would have to be probably under $10 as well. In theory, this cream should be effective for most normal cases of ringworm and more especially as a preventive measure if you are prone to it. Extremely stubborn cases may require a more potent formulation, regardless of the manufacturer’s confidence in its product. The problem with recommending this cream is that there is simply too much conjecture around it. The price is absent, as is any idea as to concrete availability. It is not clear when this product will be in stock, or if it ever was for that matter since consumer feedback is wholly silent. Should you want to try this product, you are simply not able to do so at this point in time and you have to seek an alternative.